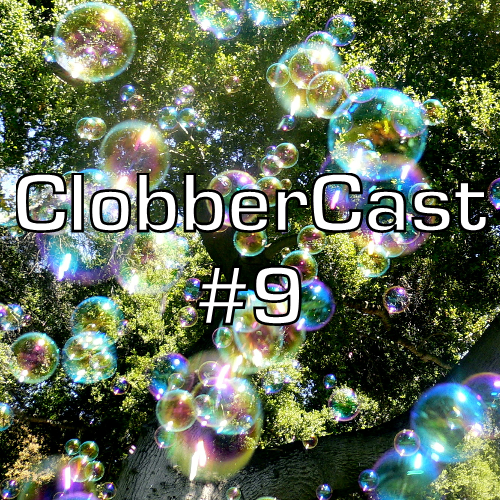 ClobberCast is back and better than ever (?)! Hank and Toben are joined by the podcast’s mysterious new third man, former guest and Space Money Octagon co-founder Maya Hansen. Also joining in on the wrasslin’ chatter is THE ULTIMATE MARK ULTIMATE MARKOUT of the internet. The stable is at full strength to go over the highlights of Money in the Bank, analyze current WWE feuds, returns and developments. Also, we relive the hours-long drama of 7-2-14 regarding a favorite women’s wrestler. What are PWG BOLA, NJPW and DDT Puroresuringu and are any of them contagious? Hank and TUMUM explain. And we introduce a new segment that’s sure to end in disappointment. There’s a bunch of crazy rambling in between all that and something about empowering mud matches and Damien Sandow kissing people.